Democrat Beto O'Rourke says he raised a record-breaking $38.1 million in the past three months, more than tripling the haul of his Republican opponent, Sen. Ted Cruz. The Texas race for U.S. Senate has become one of the country's hottest, and maybe its closest. O'Rourke announced Friday that the funding came from more than 800,000 donors. The ex-punk rocker has become a star in national liberal circles. His totals through Sept. 30 broke quarterly Senate fundraising records for non-self-funded campaigns. Cruz previously announced raising $12 million over the same period. He'd correctly predicted that O'Rourke would triple that. 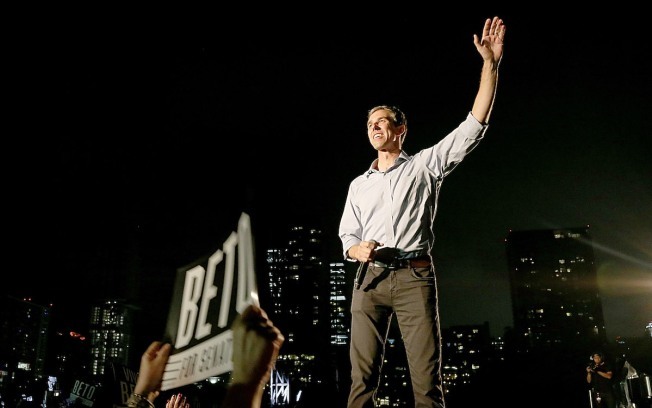 O'Rourke's good news comes amid polls that have begun to show him trailing Cruz by about 10 points. No Democrat has won statewide office in Texas since 1994. O’Rourke will be the guest on this Sunday’s Lone Star Politics. We asked what Texans should expect from him in the coming weeks. “We all say that we are sick of the negative stuff, of the partisan stuff, of the trying to scare one another into voting for someone, or out of voting for someone else. If we are going to walk the talk, this is our chance. We can do that by still offering a clear contrast and I think you are going to see more of that going forward,” said O’Rourke.